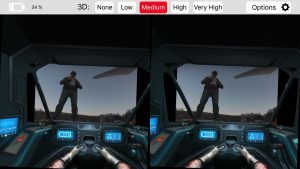 Visual Vertigo has introduced an interesting set of apps, offering the users an immersive 3D FPV and #D video experience using their regular drone camera. Since I am always looking for a good reason to play with a VR headset, I tested their 3D FPV and FPV cockpit apps with my DJI Phantom 4 and Inspire 1. 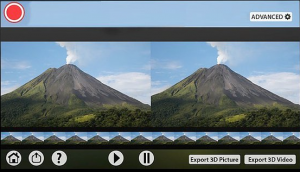 Visual Vertigo’s 3D apps use a powerful algorithm that is able to convert a single lens camera video stream into a split-screen 3D experience viewable with VR headsets. 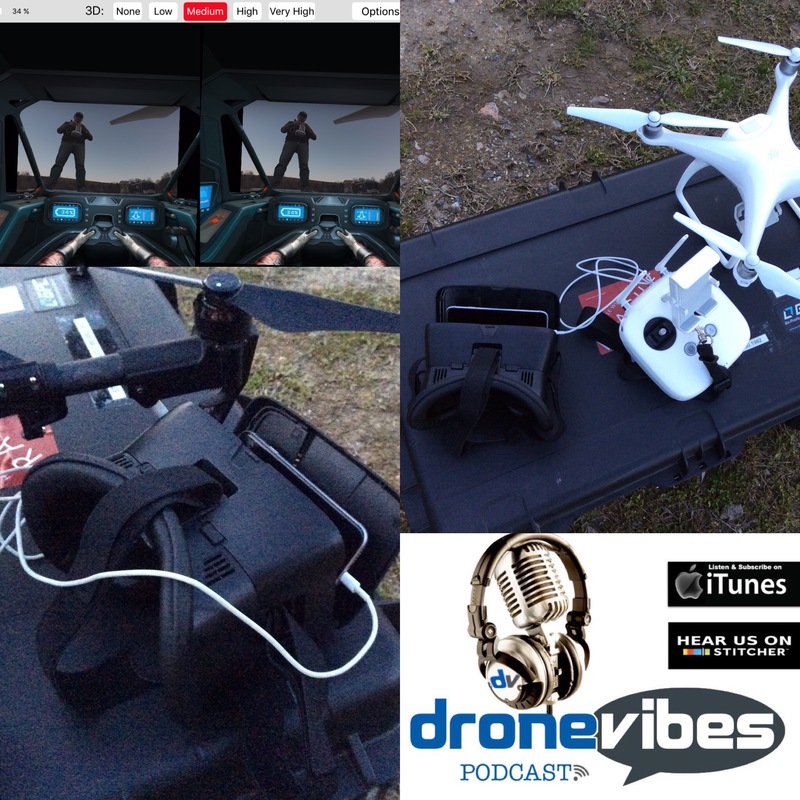 All you need to enjoy this experience is a smartphone (4-6in screen size), a DJI Phantom 3, 4, or Inspire, and an inexpensive VR headset that works with your phone (also available from Visual Vertigo). If you don’t happen to own a DJI product, you can still use Visual Vertigo’s 3D Video App to convert your favorite drone videos into 3D masterpieces viewable on VR headsets. You can simply start your Phantom or Inspire with the DJIGO app, set your camera (I’d recommend leaving it in auto for this particular use), start the 3D FPV app, place your phone into the VR headset, and enjoy your flight in 3D. The 3D sensation is actually really good, as long as the drone is moving-in order for the app to be able to display two separate images under slightly different viewing angles, the drone needs to be in motion. The image becomes two dimensional as soon as the drone stops moving. On the Phantom 3/4, it will convert the video into 3D if the drone is moving sideways or rotating around an object. 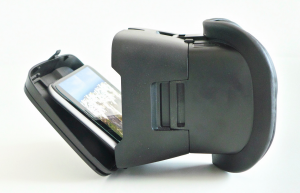 The Inspire users can also enjoy the 3D FPV experience in forward flight. The app offers a simple OSD overlay that can be recalled on the screen by tilting your head up, or set to show permanently. You can also record videos and still images using the buttons on your controller. The app offers head tracking – if activated, your head movements will control the camera tilt on the Phantom, and tilt/roll on the Inspire. There are few other available user settings, such as 3D effect strength, and image scale and crop (very helpful to optimize the image to work with your phone screen and various VR headsets). The cockpit app offers the same 3D FPV flight experience as the 3D FPV app, and adds a neat spaceship-like cockpit overlay, with you in the pilot’s seat. Basic telemetry data is displayed on small screens within the cockpit. 3D Video App works for users who may not feel comfortable to fly aerial photography missions with 3D FPV setup on, don’t own DJI product, or would like to convert some of their existing drone videos into 3D. You can simply upload your videos into the app, convert them, slide your phone into a VR headset, and enjoy your aerial masterpieces with an added dimension. Dronie app works very similarly to the 3D Video app, and allows you to control the playback of shorter drone clips by tilting your phone/moving your head. If you don;t already own the VR headset, Visual Vertigo’s headset deserves a good look. It works with most phones with 4-6 inch screens, can be used with regular glasses, and unlike many other entry level headsets on the market offers great field of view without visible screen pixels. It also features the ability to set the interpupillary distance between the lens elements, making it easy to find the comfortable viewing spot for most users – another feature unusual on an entry-level priced headset. The headset is lightweight, vented, and feels comfortable to wear. You can find more information and purchase the VR headset at www.visual-vertigo.com, the apps are available on iTunes and Google Play.